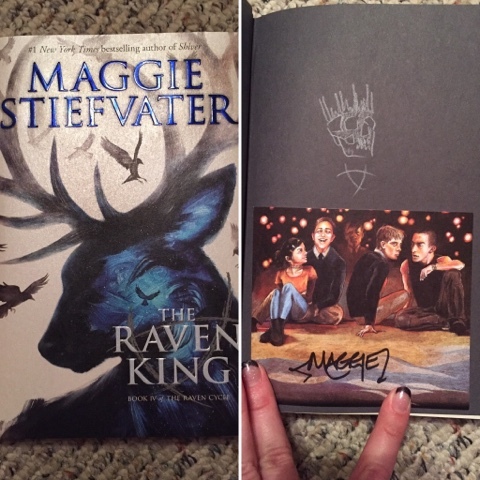 My copy of The Raven King that I ordered. Doodled in my Maggie Stiefvater herself! I love it! Blue Lily, Lily Blue by Maggie Stiefvater. 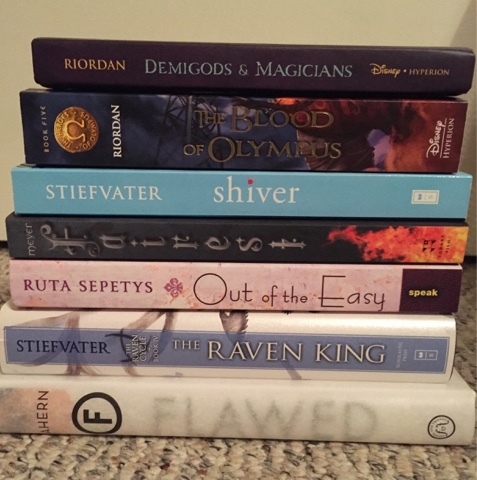 I LOVED this book and was so excited for the last book to come out this month. The White Cliffs by Alice Duer Miller. I was reminded of this when I read Born With Teeth. My copy belonged to my great grandmother, so it's pretty special. I'll Give You the Sun by Jandy Nelson. Interesting sort of growing/coming of age story about twins Noah and Jude. Probably The White Cliffs? If only because poetry isn't my go-to genre. In other news, dancing continues to go well and I am still loving it. I have also been feeling better, especially the last two weeks or so. My sad days are finally getting fewer and further between, and when I have them, they aren't as hard. I am feeling better about myself and my situation. There is still some hurt, anger, and bitterness there, but it is, amazingly and suddenly, more manageable. I'm so relieved. It really does start to get better. I got a couple more rats, which some of you have seen and heard about. Introductions are... proceeding. I've been reading articles and getting tips from other rat owners. I need them all to get along! I have some other news, but it is a bit different and I am going to save it for a separate post.